The Lunigiana region is located both in Tuscany and Liguria and is bordered by the Apennines, the Apuan Alps and the Ligurian Sea. This area has a thousand-year-old history as proved by the many things to see. There are the famous statues menhir from Lunigiana, Roman archaeological areas, ancient parish churches and castles, medieval towns and Baroque buildings. Tuscan Lunigiana includes all the cities and towns along the upper and medium stream of Magra. 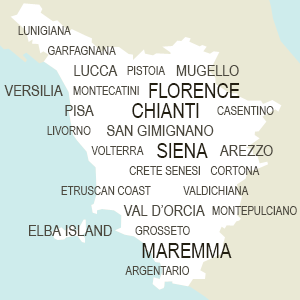 Main destinations are Aulla, Fivizzano, Pontremoli and Villafranca in Lunigiana.